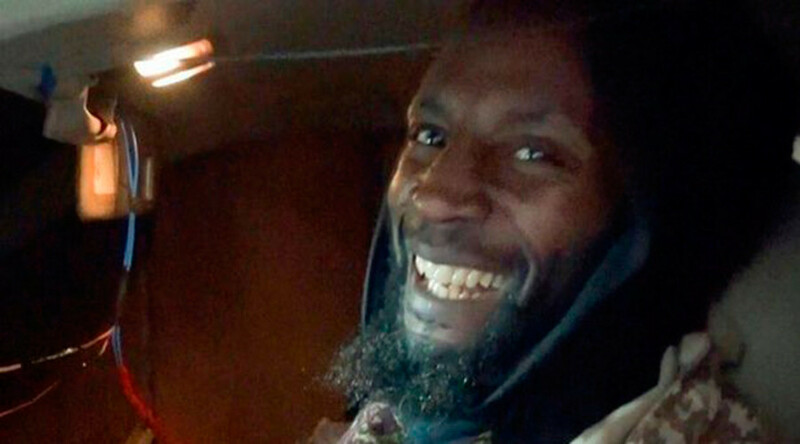 While serving as home secretary, Prime Minister Theresa May downgraded the surveillance of an extremist who fled Britain to become an Islamic State (IS, formerly ISIS/ISIL) fighter and suicide bomber after his release from Guantanamo Bay, it has been claimed. The Prime Minister’s official spokesperson has refused to discuss whether the monitoring of Jamal al-Harith ceased in 2014, when May had been running the Home Office for four years. IS claims the 50-year-old suicide bomber, born Ronald Fiddler in Manchester, also known as Abu-Zakariya al-Britani, blew himself up in an explosives-laden vehicle in a village south of Mosul last week. 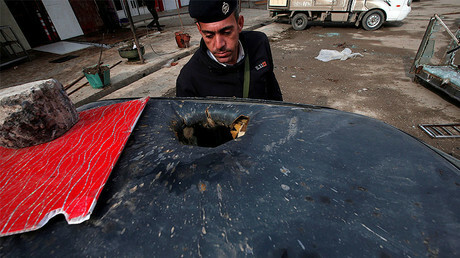 The terror group says there were many casualties, although this has not been officially confirmed. £1mn compensation to terrorist: How could that happen? Two ex-Labour home secretaries, David Blunkett and Jack Straw, have suggested government surveillance of al-Harith was stopped before he traveled to Syria to join IS. Lord Blunkett said: “I am not aware as to the length of time such monitoring continued after I left the Home Office at the end of 2004. It is clear however that in 2010 under the new Coalition government ... continuing contact and awareness of these individuals must have been present. 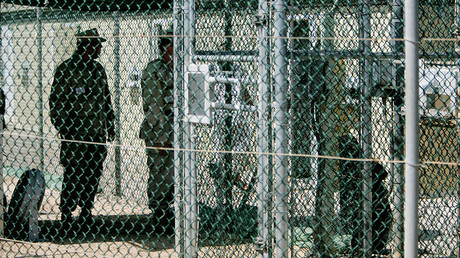 While security officials confirmed al-Harith and other Guantanamo detainees were monitored after their release, they said the scale of it depended on the extent of the threat they posed to the public. “There is a finite amount of resources and a valued judgement has to be made on how these resources are allocated,” a senior source told the Independent. Richard Barrett, the former head of counter-terrorism at MI6, told the newspaper: “This guy came out of Guantanamo Bay ten years before he left for Syria. That would be a hell of a long time to keep someone under close surveillance, almost impossible, and against his civil liberties. On Wednesday, it was revealed Tony Blair’s government lobbied for the release of al-Harith despite never regarding him as innocent. The disclosure that al-Harith had received a compensation payment of £1 million from the UK government after ministers lobbied to secure his release from Guantanamo Bay in 2004 has sparked a political blame game. David Cameron’s government agreed a total package of £10-20 million in damages for British citizens and long-term residents who were held in Guantanamo in an out-of-court settlement in 2010. Blair took the unusual step on Wednesday of issuing a statement denying his administration had paid compensation to al-Harith. “He was not paid compensation by my government. The compensation was agreed in 2010 by the Conservative government,” Blair said. A Number 10 spokesperson declined to comment on compensation payments on the grounds that it was an “intelligence matter.” The spokesperson also refused to say why May as Home Secretary allowed al-Harith to travel to Syria. The Tory government is now facing pressure to prove that £10-£20 million paid to terror suspects being held at Guantanamo Bay did not end up in the hands of IS, after it emerged that four of the 17 British detainees thought to have been given compensation have been accused of links to Islamic groups or individuals in Syria. Mosul assault: What role will UK troops play in the battle for the ISIS-held city? They blamed his treatment at Guantanamo Bay, where he was held by the US, for his subsequent involvement with the terror group. Meanwhile, the lawyer who helped British detainees at Guantanamo Bay win a multi-million pound compensation claim against the government, Sapna Malik, could be struck off by a professional tribunal. 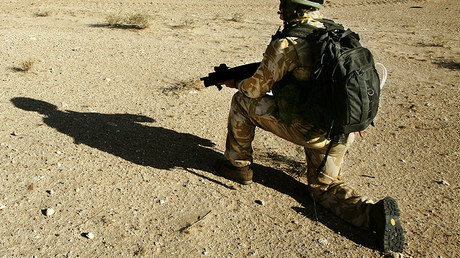 She faces a seven-week misconduct hearing, scheduled to start in April, over allegations of misconduct for the now discredited claims brought against the British army for its behavior during the Iraq war. Catherine Philp, correspondent for the Times, wrote on Thursday that al-Harith was barely able to speak when she met him in a Kandahar jail shortly before he was taken to Guantanamo Bay in 2002. “He doesn’t speak. He was mentally tortured by the Taliban,” she wrote. The father-of-five flew to Pakistan after the September 11 attacks and spent time in a Taliban jail, alongside political prisoners and foreigners, before American forces moved in and took him to Guantanamo Bay. Interrogators found he provided useful information about the Taliban’s methods, and believed he had spent time with Osama Bin Laden in Sudan. But he was released from the notorious prison camp in 2004, after two years, repatriated to the UK by private jet and released without charge. Speaking to the BBC soon after his return to the UK he described being frightened to leave Guantanamo because he was so used to life there, and his hatred for the Americans who held him there. He also spoke of his determination to sue for compensation, and revealed the Americans were only convinced he had a clean criminal record because he worked for MI5, which he laughed about on live TV.